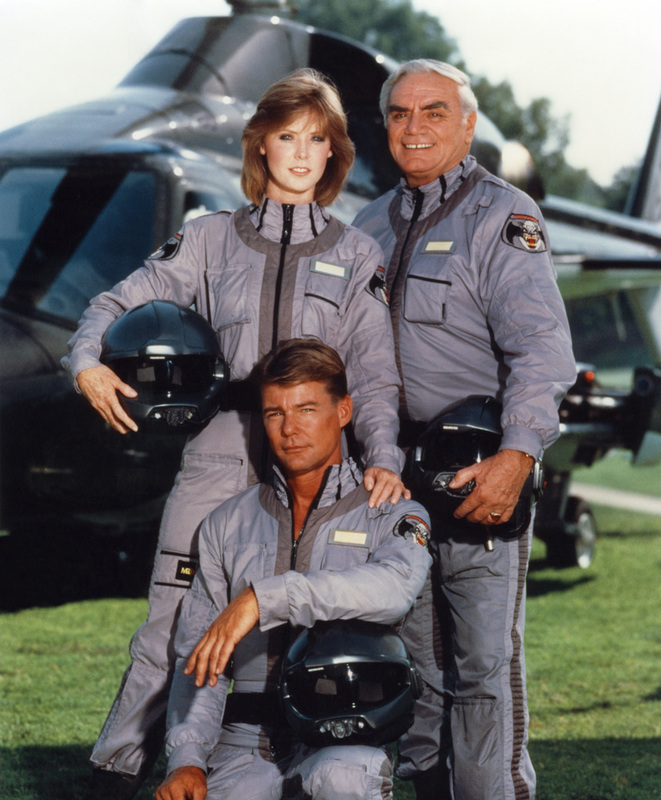 String (Jan-Michael Vincent), Dom (Ernest Borgnine) and Caitlin (Jean Bruce Scott) put Airwolf through her paces this week’s dual installment. First up is Natural Born, airing 23 February, 1985, this one was written by Westbrook Claridge and Alfonse Ruggiero. Young Kevin (Lance Sloane) is a natural born helicopter pilot, he and his uncle (Noble Willingham), make money by offering tourist flights. 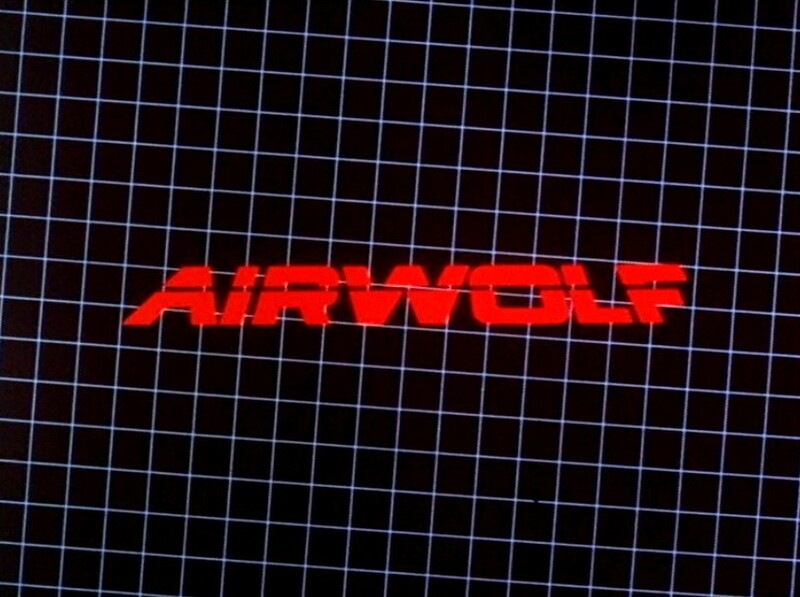 When his uncle is murdered by past associates when he refuses to serve as the pilot for their drug enterprise, Kevin is on the run, and amazingly, after a brief encounter with Airwolf early in the episode, ends up right at Santini Air, looking for a job. Despite becoming fast friends with our heroic trio, he ruins a film shoot for them, when he sees the helicopter flown by his uncle’s associates and sets off after them. Eventually, he reveals the truth to String and the gang, and they all lend a hand to put a stop to the drug running, and avenge Kevin’s uncle’s death. It’s a rather predictable episode, and sadly the continuity anytime Kevin was flying a helicopter was terrible, he’d be in one seat for one shot, and then the other seat in the next, seeming to bounce back and forth, even when there was someone else flying with him. There’s some nice stuff with the actor hired for the film shoot that Santini Air is supposed to help with, and of course some great aerial photography featuring our favourite supercopter, but over all, not the best episode they’ve made. Out of the Sky is next up. This one was written by Gregory Harris and Charles Winston. It aired 2 March, 1985, and features a truly horrid country song, about some alien who came… out of the sky. Santini Air has been hired to help out at a country concert featuring Roxy Marvel (Misty Rowe). They are there to film shots for a video and documentary, as well as lower a UFO during the course of the titular song. String, despite his leanings to playing classical music on the cello (which we haven’t seen in a while) is apparently a huge fan, revealing this to Roxy during a quiet moment, and of course the two are immediately attracted to each other. Caitlin, Dom, String and Roxy all hang out at the cabin, between shows, while back in the city, Roxy’s manager, and ex, Nick (Mayf Nutter) are planning to get rid of Roxy, replace her with a double, and off her, so he can use the money he’d get from her death to pay off his gambling debts. This one ends up being a little dull, has a saccharine sweet, if unbelievable, romance, and of course, ends happily, after a flying sequence featuring Airwolf chasing down the baddies as they try and escape with poor Roxy. 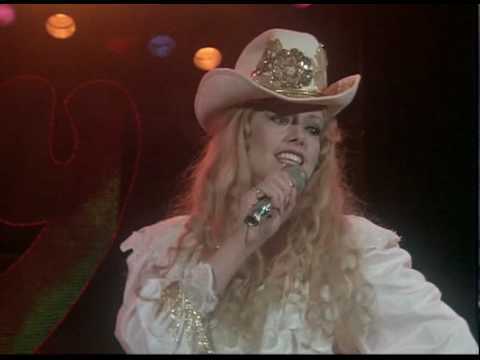 It also lets String be all tough in front of Roxy at a remote bar when a couple of the rough and tumble locals, who have had a bit much to drink, recognize the country star, and interrupt the lovers’ evening. Perhaps next week will be a little stronger story-wise as we race to the conclusion of the series’ second season!